Victoria, BC, Canada – Reliable Controls is pleased to announce 868 MHz versions of the SPACE-Sensor™ EnOcean (SSE) and SMART-Sensor™ EnOcean Accesspoint (SSEA) wireless products. The 868 MHz frequency band has superior transmission performance, and is intended for installations within Europe and other countries adopting the Radio and Telecommunication Terminal Equipment (R&TTE) specification. 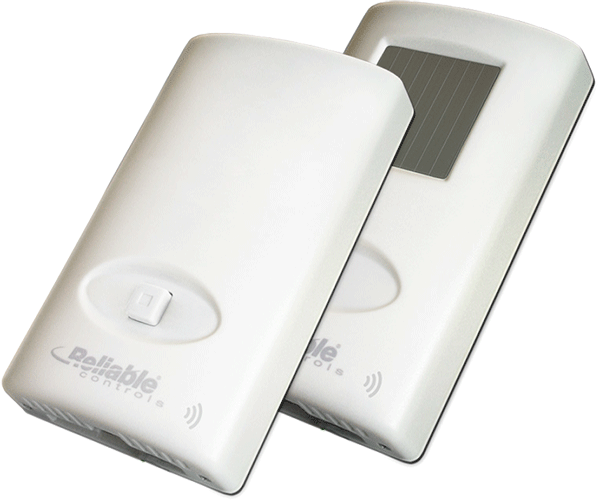 Reliable Controls continues to recommend the 902 MHz models for all new North American applications. In addition to this newly available 868 MHz frequency, the SSE and SSEA product line now supports Illumra dimming devices. The EnOcean Alliance has the largest installed base of field-proven wireless building automation networks in the world and the Reliable Controls wireless product line is based on the EnOcean chipset. The SSE delivers a wireless temperature sensor solution made easy with the energy harvesting technology of EnOcean. Aesthetically designed to complement any decor, the SSEA opens the door for integration of a wide variety of EnOcean wireless sensors and output devices within the MACH-System. Click Here to download a PDF version of this release.